Magnetoreception refers to the ability of an organism to perceive magnetic fields. Several animals use it to find their way over long distances by aligning themselves with the magnetic field of the Earth. Just think of the pigeons. Sea turtles, honeybees, spiny lobsters, dolphins, migratory birds, and more all have a magnetic compass. It allows them to use the information implied into earth’s magnetic fields. However, we know just a little beyond that. What remains up for speculation is how they sense it and put it to use. What kind of information are they getting from it? For all that we know, these magnetic fields could give much more information than simple navigation for individual species. There was a recent study, published by Kirschvink in the journal Nature Communications, which suggested that a protein in the human retina, when placed into fruit flies, can detect magnetic fields. The research claims that it can serve as a magnetic sensor. However, it is still unknown whether or not humans can use it in this way. In one of the recent experiments, Kirschvink was passing a rotating magnetic field through study participants. During the test, he measured participant’s brainwaves. He discovered that during the counterclockwise rotation of the magnetic field, some neurons responded to the change of the rotation. The response generated a spike in brain’s electrical activity. This result suggests a probable magnetic sense in humans. The experiment raised multiple questions. For instance, was this neural activity evidence of a magnetic-sense, or it was something else? Even when the human brain responds to these fields in some way, that does not mean that the brain is processing that. There is also the question of what mechanisms are in place within the mind or body which receive these signals. If the body does indeed have magnetoreceptors, where are they? The next step for researchers is to identify them. The study of Kirschvink is one of the many publications delving into the mysteries of magnetic fields, as well as what impacts they have on humans. The HeartMath Institute could be the leader in this area of research. The Global Coherence Initiative is an international effort started by some researchers at HeartMath, which seeks to help activate the heart of humanity and promote peace, harmony and a shift in global consciousness. GCI conducts groundbreaking research on the interconnection between humankind and Earth’s magnetic fields and energetic systems. When the energy fields environment of the Earth is distributed, it can cause insomnia, mental confusion, or lack of energy. But, at times when the fields of the Earth are stable, people reporting increased positive feelings and more creativity and inspiration. This is likely because of a coupling between the human brain, cardiovascular and nervous system with resonating geomagnetic frequencies. The Earth and the ionosphere generate some frequencies that range from 0.01 hertz to 300 hertz. Some of them are in the same frequency range as the one happening in our brain, cardiovascular system, and autonomic nervous system. This suggests one way for explaining how fluctuations in the magnetic fields of the Earth and the Sun can influence us. The changes maybe affect our brainwaves, heart rhythms, memory, athletic performance and overall health. Changes in the fields of the Earth from extreme solar activity have also linked to some of the most fabulous creations of the art of humanity, as well as some of its most tragic events. These fields are affecting us. But, what about how we change these fields? 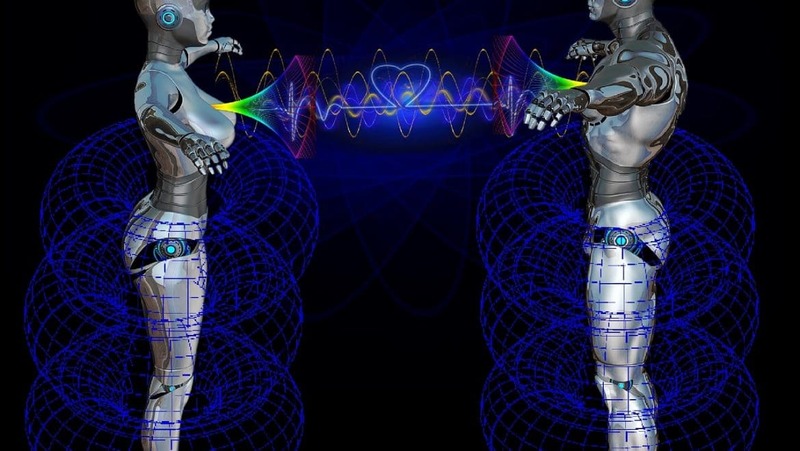 There is an overlap of the brain wave and heart rhythm frequencies with the field resonance of Earth. So, we are not just receivers of biologically relevant information, but also senders. For instance, our heart emits an electromagnetic field that changes according to our emotions. This field can be measured up to several feet away from our body, and it affects not only us but, also those around us. The research made on this topic, which is still in its infancy, actually has immense ramifications for our world. Further on, it will also prove, as well as highlight the great extent to which our attitudes, emotions and intentions, matter and that these factors within the realm of non – material science, can affect all life on Earth. A coherent, and cooperative intention, could impact global events and improve the quality of life on Earth. Practicing love, gratitude, appreciation and bettering ourselves as an individual are some of the many crucial steps towards changing our planet for the better.